This blog has become a bit of a jumble - partly because the topic of education is so broad it touches on everything. I have added a list of relevant links and postings on the left under 'Schooling etc.' There you will find some material on Homeschooling, Unschooling and Primary Schools. I am in touch with a number of small groups of homeschoolers around the U.S. who are trying to develop novel and interesting approaches. Charlotte Osterman's group is working on the question of how to use geometry to foster "poetic knowledge" in children - see the "Holy Geometry Project" under Ideas of what to use with kids in the left-hand column. Meanwhile Katie Kimball and others are working on the idea of Kitchen Stewardship - i.e. looking practically at ways to "balance God's gifts of time, health, earth and money" (on a small budget). I am also speaking with groups thinking radically about the curriculum in primary schools, and how those schools might work more closely with parents, who are - the Church teaches - the first educators of their children, whether they like it or not. 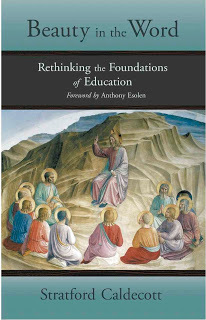 And it seems to me this whole discussion must be connected also with attempts to apply John Paul II's Theology of the Body to education, both at home and in school. This offers a holistic approach to building a culture of life on the basis of a new and profound understanding of human nature. More on that another time. “'The angels sing praise to the Creator, and in doing so, they, with Holy Wisdom, bind and heal the created order.' ...It is this song of the angels that we should listen out for, now that the coming of Christ has reunited humanity with the celestial liturgy that Adam heard before the fall." 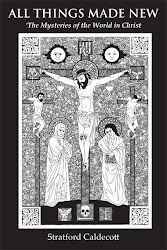 In this way the Telegraph columnist, Christopher Howse, concludes his very fine piece about the Archbishop of Canterbury's Lent book this year, Lucy Winkett's Our Sound is Our Wound. 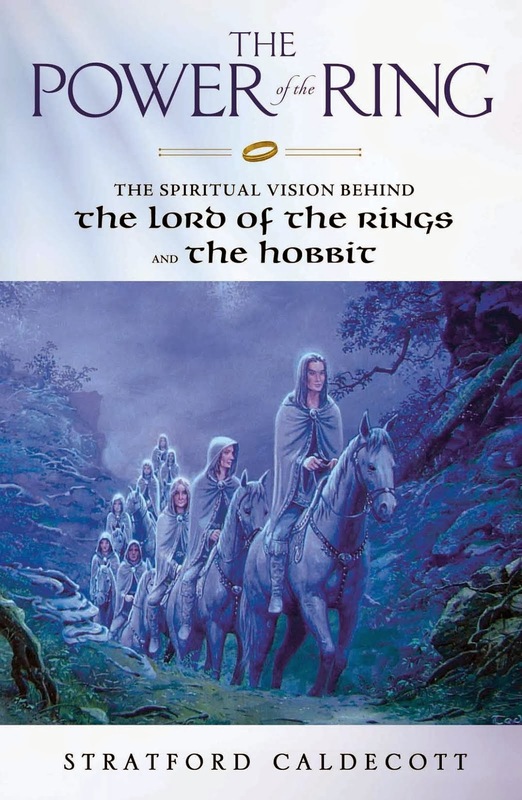 The book is not all about the Angels (please read the full description), but the remark caught my eye since it connects so directly with the themes of Beauty for Truth's Sake, and with earlier postings on this site, such as this one on Sacred Music, this on the Music of Creation in Tolkien, and this on the Sphere of the Angels. If this Lent Book is as good as last year's - Timothy Radcliffe's brilliant Why Go to Church? - it will be well worth reading in the weeks ahead. And it certainly sounds so from Mr Howse's description.